A new year always comes with an air of change, a shift of energy or promise of new things. And in 2017 Australian travellers will receive the glimpse of a new way to reach South America thanks to South American airline giant, LATAM Airlines. Latam announced a new direct service between Melbourne and Santiago in Chile will operate 3 times a week starting in October 5 2017. This means no more flying through Sydney or connections through Auckland for Melbourne residents. And this service also means a reduced flight time of a little less than 14 hours each way for travellers between Chile and Australia. Direct Flights will depart from Melbourne on Tuesdays, Fridays and Sundays and are already available for sale for bookings from October onwards. 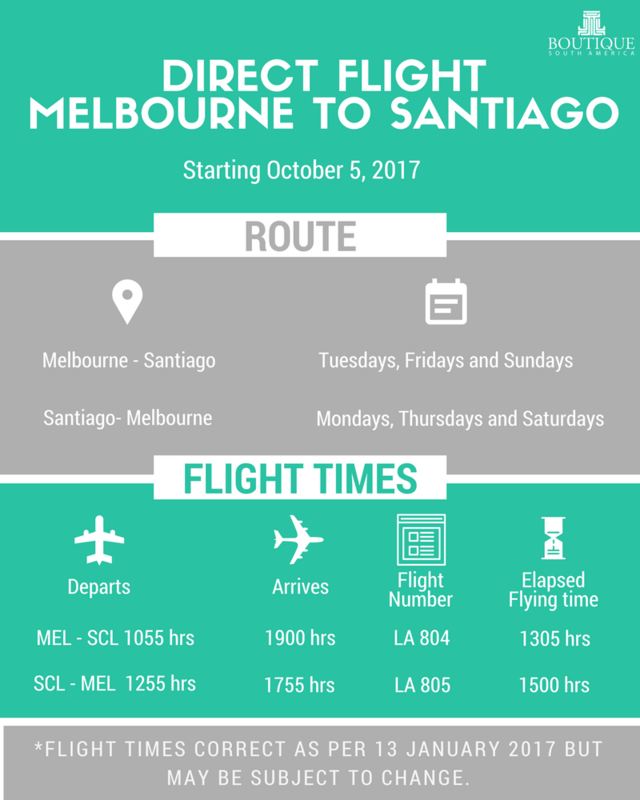 A return service from Santiago to Melbourne will operate on alternate days,departing on Mondays, Thursdays and Saturdays. 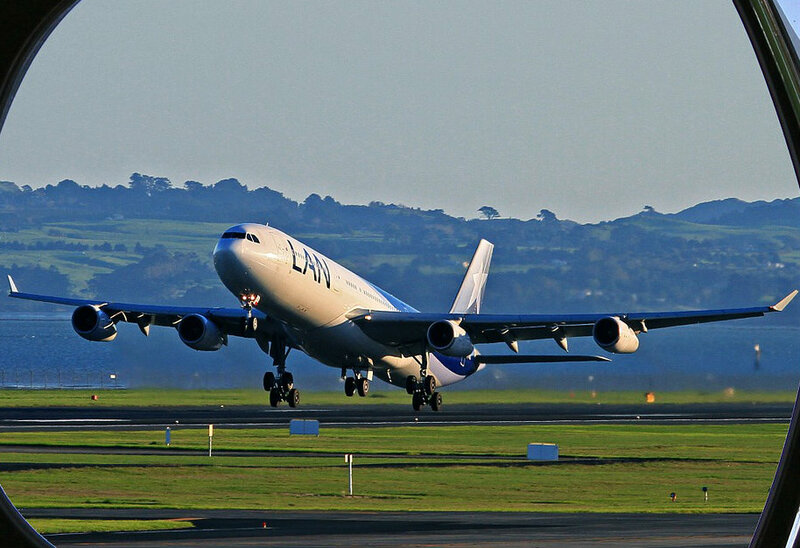 Latam currently operates daily flights out of Sydney via Auckland and also codeshares with Qantas on their direct route from Sydney to Santiago. 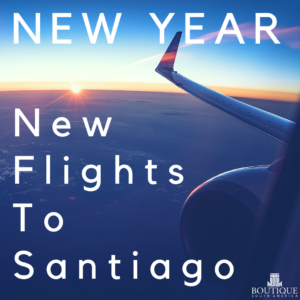 Whilst Melbournians were rejoicing from what seemed to be a Christmas present from the airline gods, the new flight to Santiago will benefit Australian travellers all round. Here are some ways this new airline service will boost travel to South America for all. Whilst there are less than a handful of airlines flying from Australia to South America (and even less that keep their flying time below 20 hours,) more flights, even by an airline already operating this route are always good for consumers. Because more flights always mean more seats to fill, which often leads to more competitive rates and airfares. Whilst I wouldn’t expect peak season rates in December/January to crash just yet, this will mean more availability across the board for Australian travellers. With the most affordable fares, and often the most convenient such as those scheduled on weekends and during holiday periods usually the first to be sold, with an extra plane to fill, we can only hope these don’t sell out as quick or in as many months in advance as they presently do. Two whole hours in the air. Yep, that’s what you’ll save on the existing Melbourne – Auckland – Santiago route. And it will be about the same for travellers who used to fly from Melbourne to Sydney to board the direct 13 hour flight from there once you factor in the connection time as well. It’s not just Victorians who will love a new and shorter way to reach Santiago. The new flight to Santiago will not just benefit the large Chilean community visiting family and friends either. 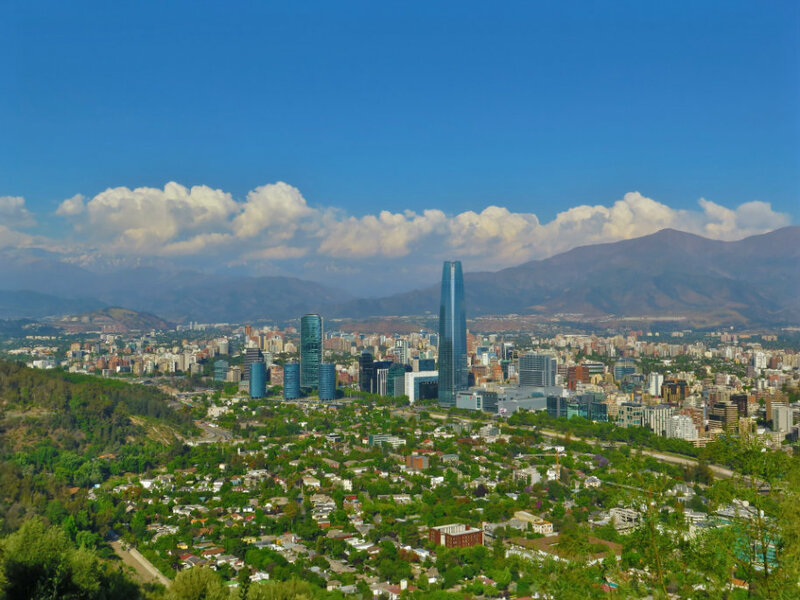 Santiago is the main gateway to arrive into South America across the Pacific, but is also in many ways a forced stopover for travellers wishing to reach other countries. Onward travel to Peru and Argentina with one less transit and airport wait as well as a shorter flight will feel closer and a little easier to navigate for tourists and migrants alike.